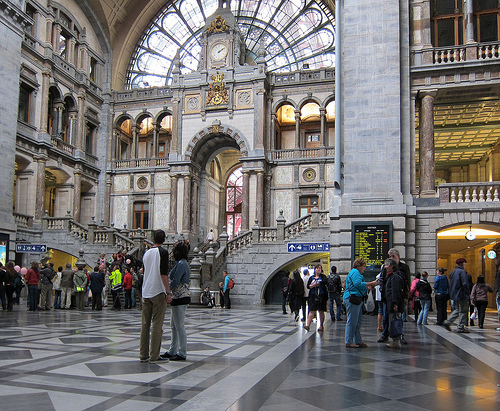 There are many ways of traveling through Europe, and while railway travel is certainly not the fastest, it is one of the most comfortable and budget-friendly. Europe’s extensive railway network allows you to visit most of the continent (save for very remote areas), and to stop on the way as many times as you want. If you choose this kind of travel, you will naturally spend quite a lot of time in railway stations, and why not, even make them into a target of sightseeing. Some railway stations in Europe are beautiful enough to feature on a tourist circuit, so here’s a list of the most beautiful train stations in Europe. 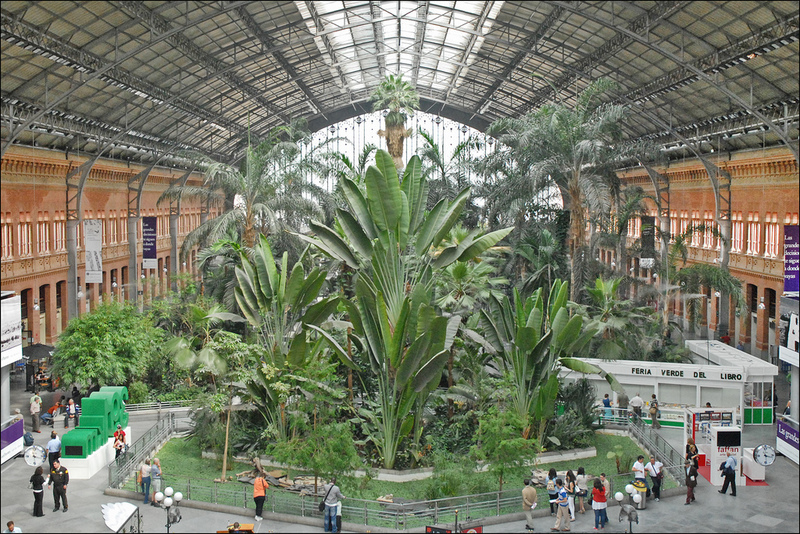 Atocha station is the largest railway station in Madrid, and it is actually made up of two stations: Madrid Atocha Cercanías and Madrid Puerta de Atoch. The station underwent a radical redesign in the 80’s according to plans made by architect Rafael Moneo. 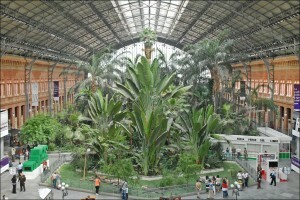 One of the most striking features of the station is a 4000 square meter tropical garden with ponds, palm trees and even animals. The beautiful St Pancras station in London is admired for its Victorian architecture, built in the 19th century and narrowly escaping demolition in the 60’s. 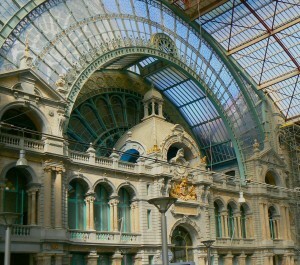 The station was renovated recently and it looks better than ever, both inside and outside. The centerpiece of the station is a huge bronze statue called The Meeting Place, right under the station clock. Without a doubt, the Central Station in Antwerp is the finest railway station in Belgium, if not the entire Western Europe. An eclectic mix of many architectural styles, with a dome and six towers and an interior decorated with no less than twenty kinds of marble. 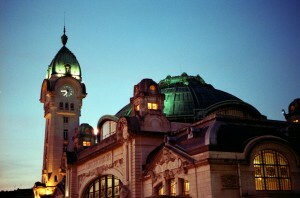 The cafeteria and waiting area of the station look more like a palace than a railway station. Icy Valdivostok is the terminus for many rail routes, and since every journey should end in style, the railway station is really something special. The station doesn’t look bad on the inside, but the outside is what charms most people – it looks more like a tsar’s palace than a railway station. Limoges’s main railway was opened in the 1850’s, and while its first version was made of wood, it was upgraded to stone a decade later. The architecture of the station is far more elegant than you’d expect from a train station, with its huge dome over the passenger area and the clocktower next to it.